The great thing about online shopping—scratch that, one of the great things about online shopping is accessibility. It's an even playing field for shoppers from all over the globe. Within minutes, you can order a top sold exclusively in London while sitting at your desk in Los Angeles (easy breezy). The downside? This lightning-speed shopping also makes for a high chance an item will sell out (proof here and here). The latest online item in high demand? 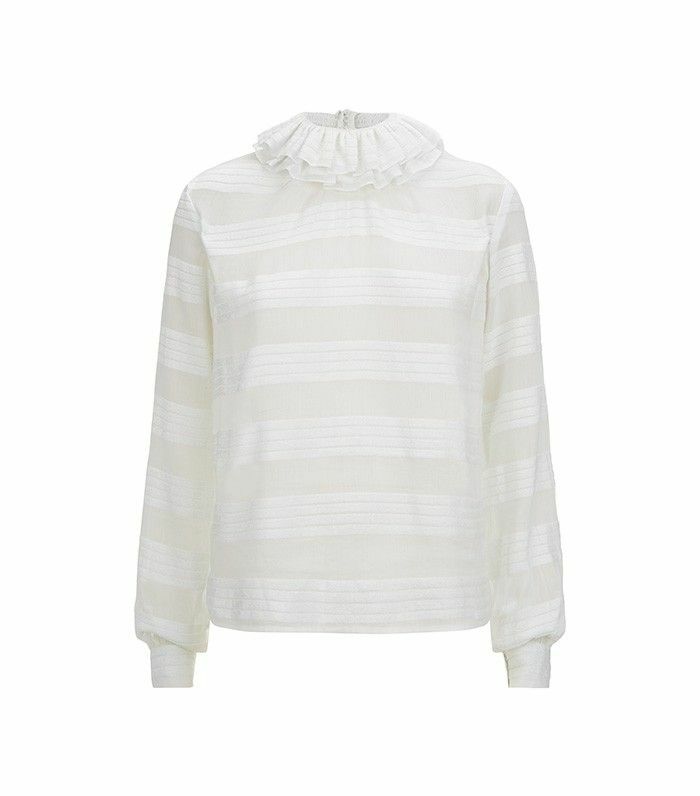 This very on-trend white top from the London–based brand Related that sold out in only four short hours. Scroll down to check out the Karina Blouse and mark your calendar for the end of the month because it will be back! Have you ever snagged an item before it sold out? Tell us about it in the comments below!